What’s a hand pie? It’s basically what we in the UK call a turnover. 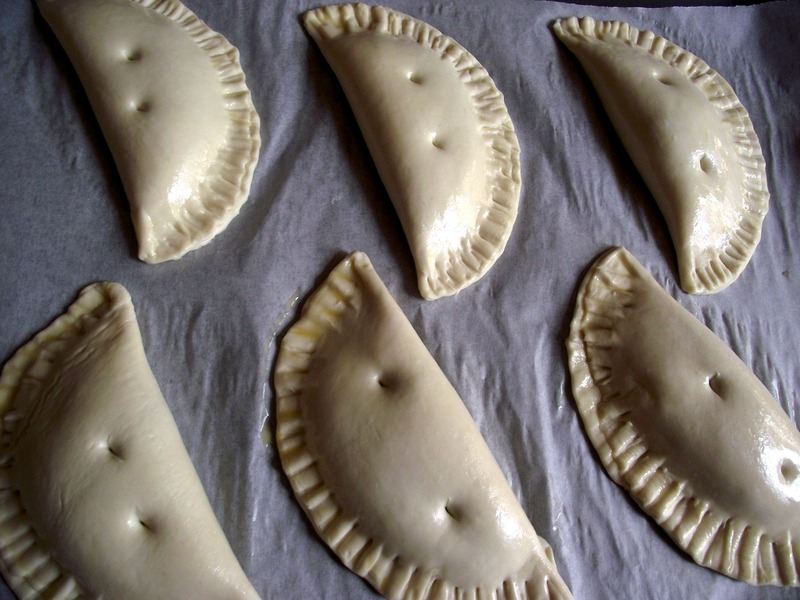 It’s pastry, semi-circular in shape and can have a sweet or savoury filling. And you can hold it in your hand, unlike a messy slice of pie! Of course I am going for a sweet filling, and I decided to use the delicious Single Farm conserves from Mackays, which I was given to try out the other week. The Single Farm conserves come in three flavours, strawberry, raspberry and blackcurrant. The berries are grown on Scottish farms, nearby to Mackays factory, which I visited the other week. The flavours of the berries in these conserves are amazing (because they are grown in Scotland of course), and are delicious on top of toast or a bagel. But I thought I would pop them in my hand pies. And, as a little Cakeyboi twist, I added some vanilla custard because who doesn’t love jam and custard together? These are embarrassingly easy to make. I bought ready rolled puff pastry (life is way too short to make your own puff pastry, I always say), I bought a packet of instant custard powder and had my trusty Single Farm conserves waiting in the wings. I used all 3 so I could have a nice variety for everyone to try. 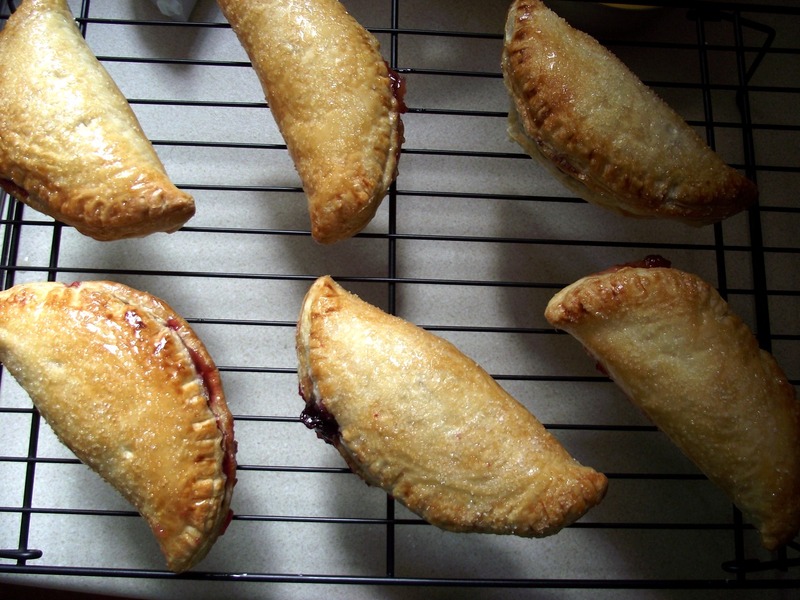 My sheet of puff yielded 6 hand pies, but this all depends on how big or small you make them. Preheat your oven to 180oC. Line a baking sheet with greaseproof paper. Make your instant custard powder according to instructions, but reduce the amount of water by a quarter, so it’s nice and thick. 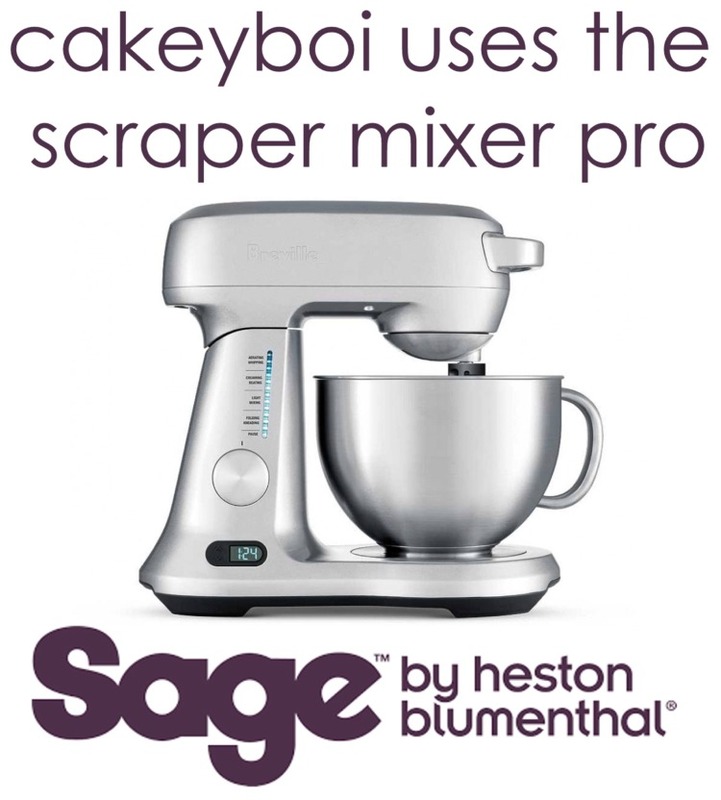 Add ½ teaspoon of the vanilla (to crank up the flavour) and mix through . Allow to cool a little. 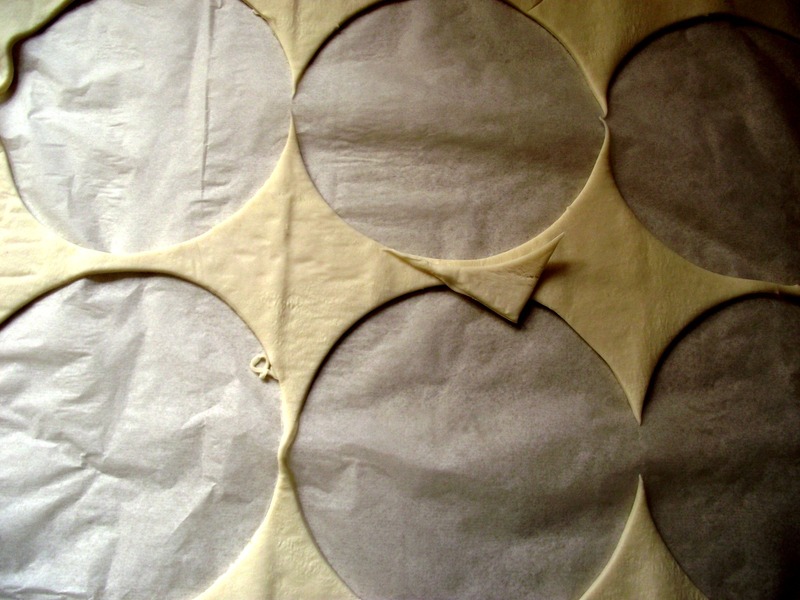 Unroll your sheet of puff pastry and cut out circles 5 inches in diameter approximately. Place a heaping tablespoon of the custard (more if you are game) in the middle of the pastry circle and spread out a little, stay at least two centimeteres from the edges. Add a heaping tablespoon of your favourite Single Farm conserve on top of the custard spreading out a little also. 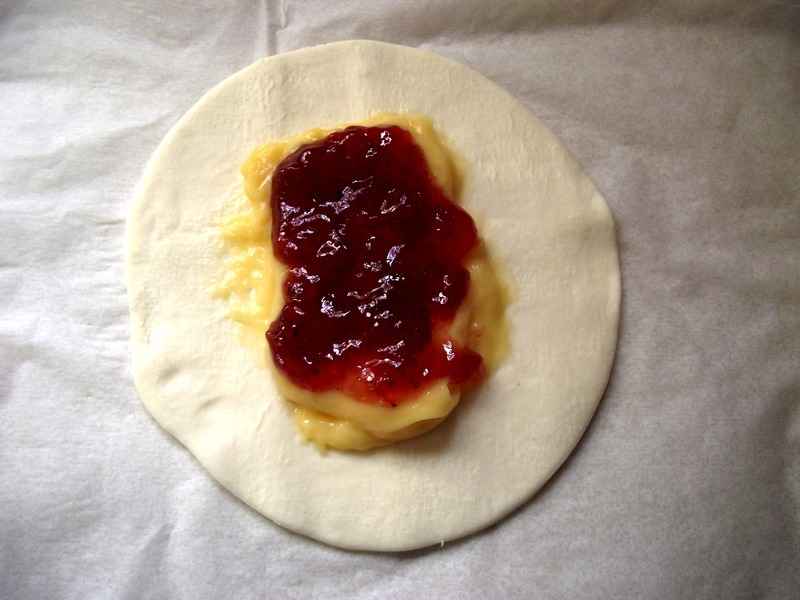 Brush the edges of the pastry with the beaten egg and then gently fold the pastry over to make a semicircle. With a fork, crimp the edges so they seal together. Poke a couple of holes in the top of the pies, to allow steam to escape, and brush the tops with more beaten egg. Place in the fridge for 15 minutes, then place in the oven for 20 minutes, or until the hand pies are golden brown in colour. Jam may escape during baking, but don’t worry, there will still be plenty left inside. Make a thin glaze for the pies, with the icing sugar, ½ teaspoon vanilla extract and enough water, to get a loose consistency. As soon as the pies come out of the oven, brush with the glaze and sprinkle sugar over them. The glaze should dry in very quickly. Which is good, as these are best eaten hot. 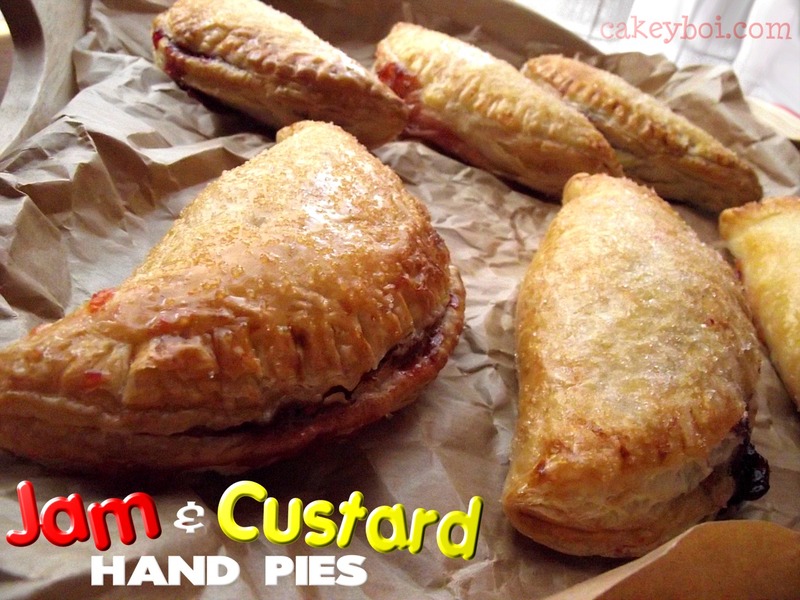 The fruity conserves and vanilla custard together are a perfect pairing of sweet and warming, plus the crispness from the pastry make these hand pies one to try. Disclosure Statement: I have not been paid to write this post. I received the conserves free to use in baking. Any views expressed are my own. Thanks CC, they tasted pretty amazing too, even if I do say so myself! These look so good! They would be a great addition to our Sunday afternoon tea table. Thanks! Mmmmmm, they look delicious! Pass me one Stuart! 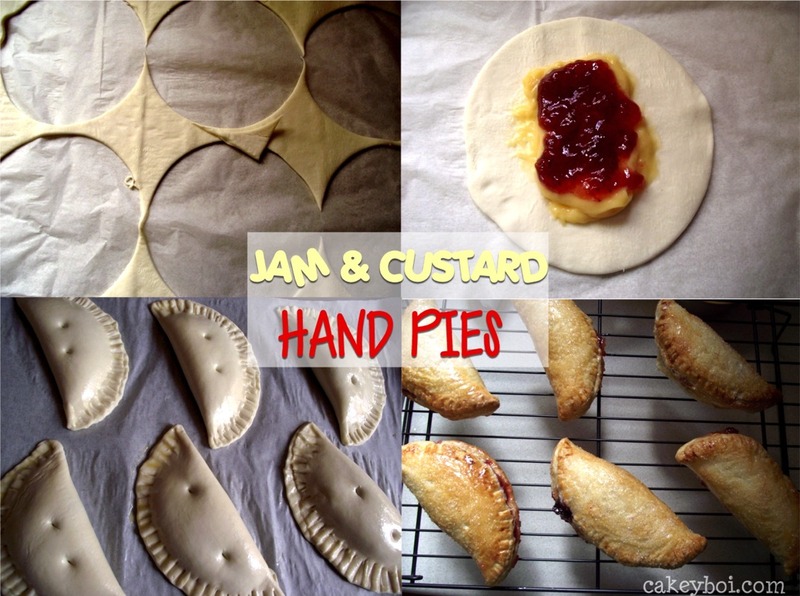 Glad to share these with you, they are so easy and are something different to do with jam!